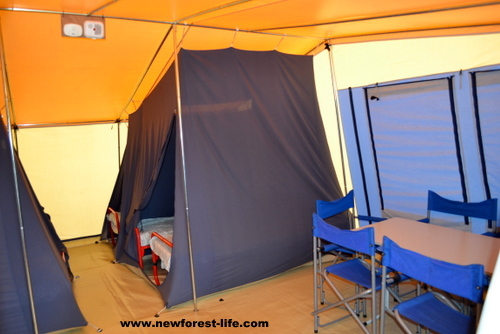 Ready Tents New Forest - where are they and what are they like? 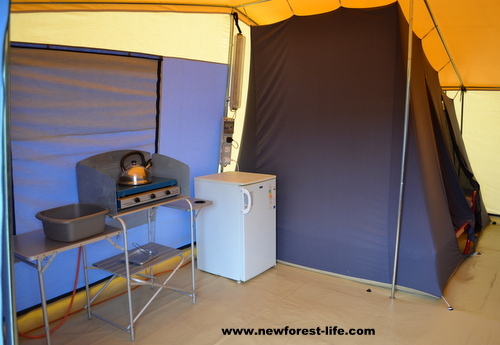 You can now stay in a New Forest Safari Tent of Camping Pod for glamping and luxury camping. Ready tents New Forest were hard to find last year. They were only in one location and not on any of the Forestry Commission camping and caravan sites as in previous years. Looking for Ready tents in the New Forest, I visited Sandy Balls Holiday Centre near Fordingbridge and took these pictures on quite a dull day, so you can get an idea of what ready tents on the New Forest are like. Just to let you know, Sandy Balls Holiday Centre is not inside a cattle grid so you will have a small walk or drive to get really close to the New Forest ponies and other animals - but you wont have a head peeping in stealing your food either! Yet again there will be no facilities for luxury camping on New Forest camp sites. 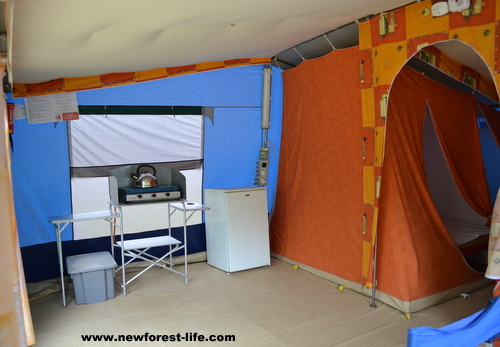 Luxury camping is not suitable for the New Forest partly because of the sensitive ecology of the environment and other reasons too. Your only option looks like the Ready tents one, which isn't a luxury choice really, as you can see. Sandy Balls had Ready Tents and also 8 "pods" for you to hire in the past. Ready tents are no longer available but Safari tents and camping pods are. I visited last year and spoke to a family in a pod. Their feedback was that they preferred the ready tents as it gave a much better area for a family to camp in. It was a hot sunny day when we saw them and the thought of a family of 2 adults and 2 kids on a wet day in a pod was a bit claustrophobic! Please remember I don't take or make bookings for New Forest camping. I only give you the info to follow up. You don't have to spend a penny on buying a tent or other camp site gear just turn up - how easy is that? Cooler - probably not used extensively this summer! You'll have to bring: sleeping bags, towels, etc, just like normal sites in the forest. I've seen the site and you will be on a good, thick waterproof membrane which also looked quite comfy and smooth to move about on. 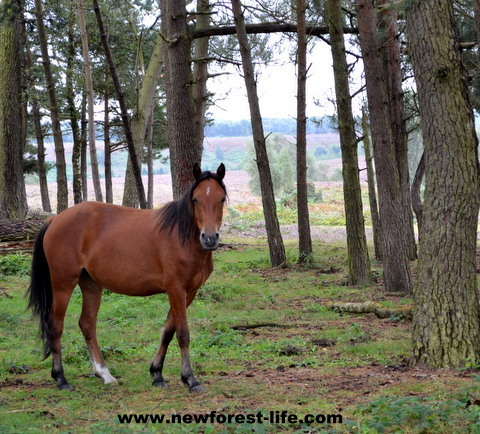 To me this is the world of the outdoor life made easy on a good New Forest location.